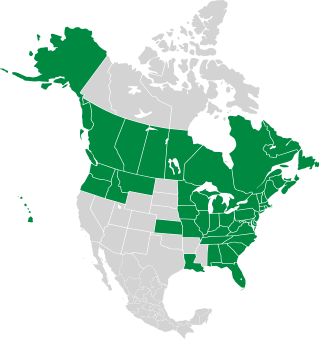 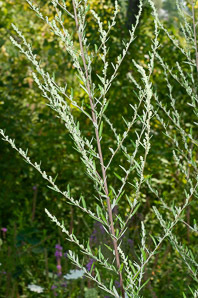 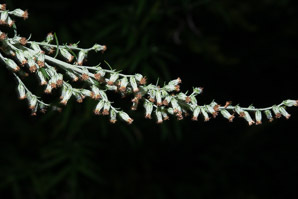 Common wormwood is a North American native. 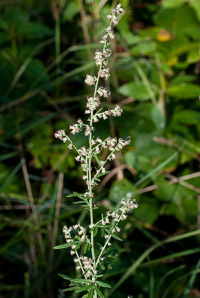 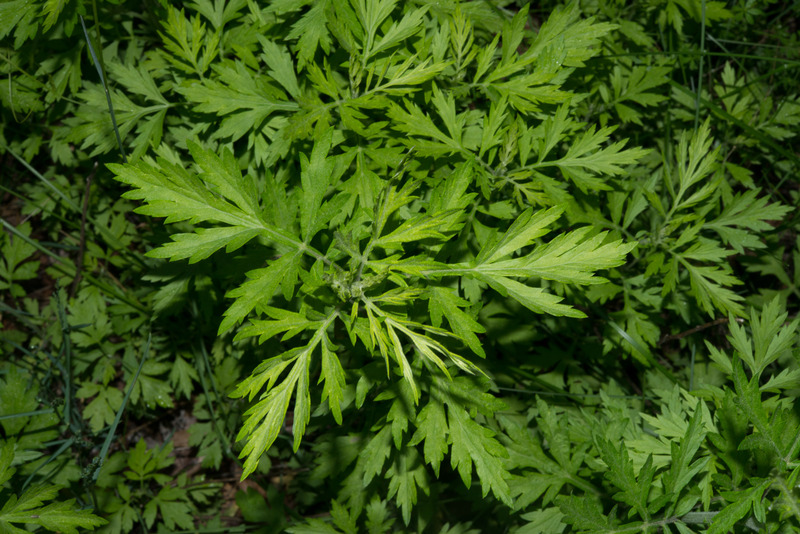 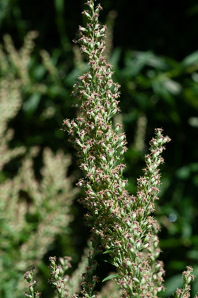 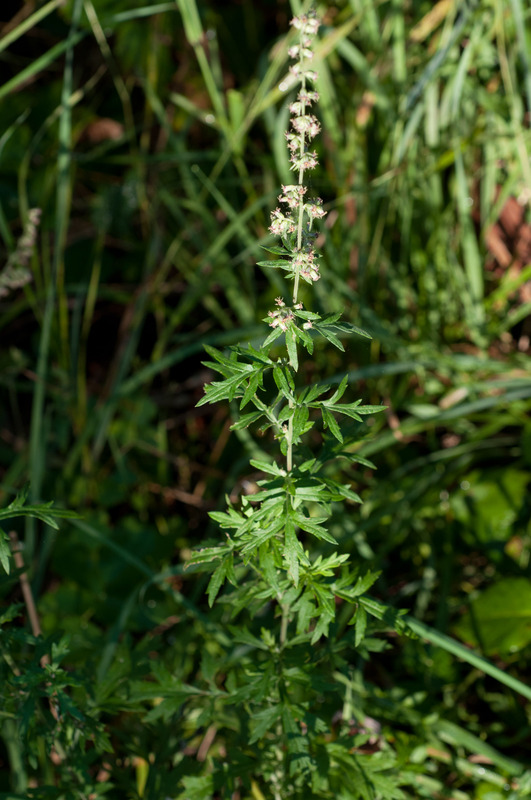 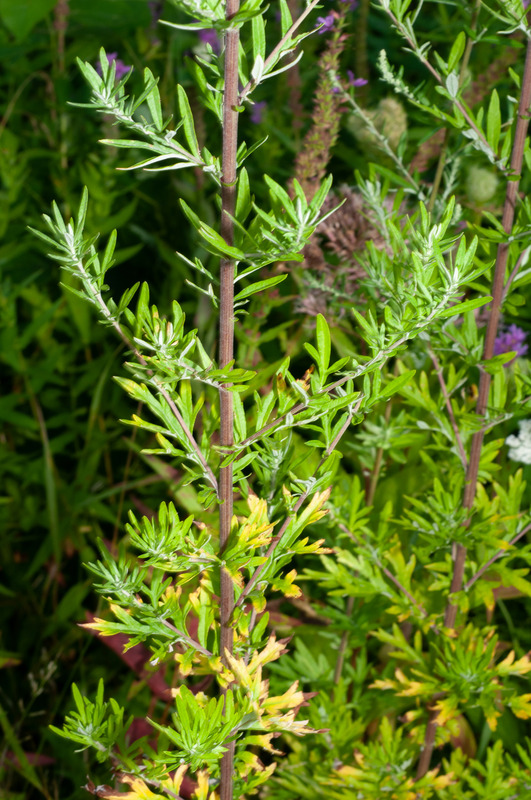 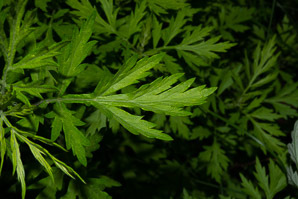 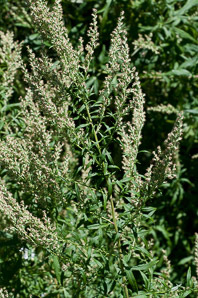 Don’t confuse it with the related species, Artemisia absinthium (from which absinthe is made)—it is also called wormwood. Identification: Plants are 20-59" (50-150 cm) tall, on stiff stems that branch only a little. 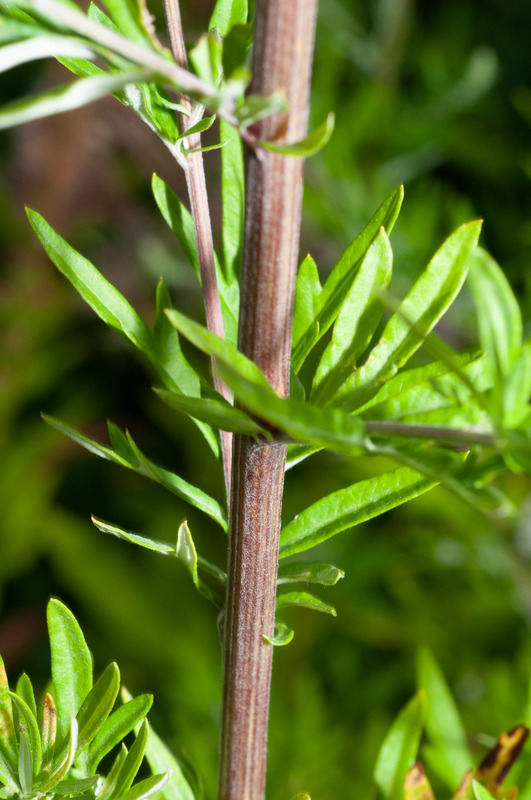 Stems are ridged, green or often purple, and nearly hairless, although tiny white hairs make the stem appear more pink than purple. 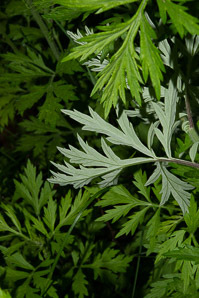 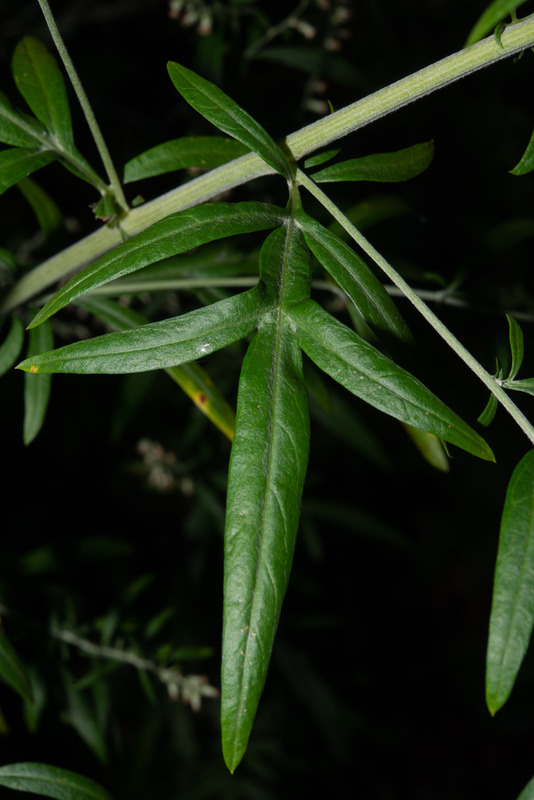 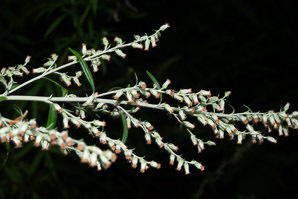 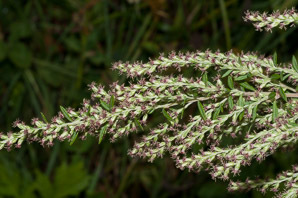 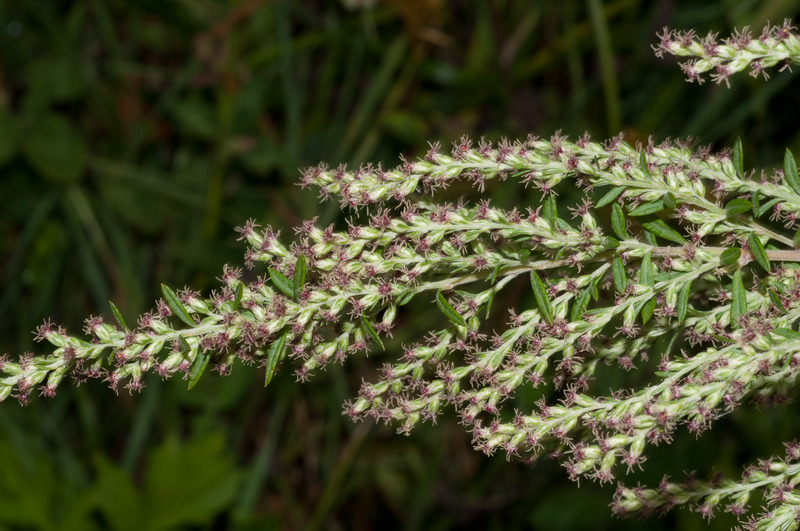 Leaves are green above, but feltlike below, covered with tiny white hairs, 1¾-8" (5-20 cm) × 1-1¾" (3-5 cm). 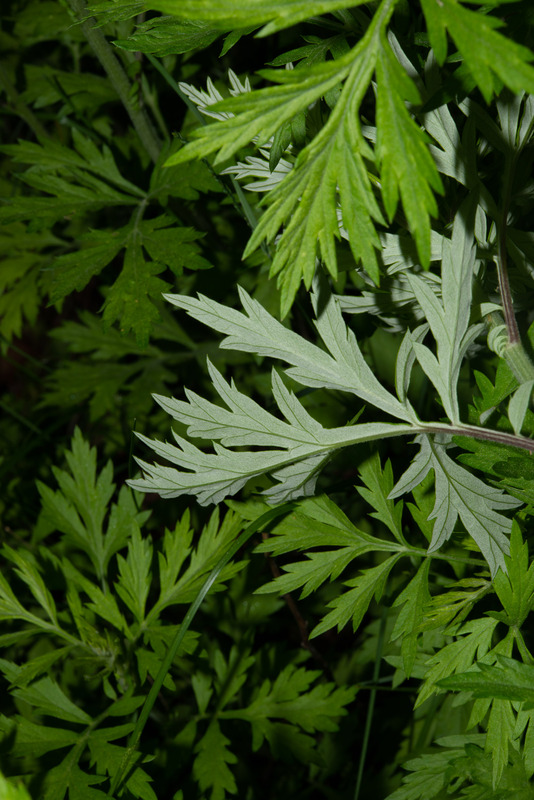 The leaves are deeply divided. 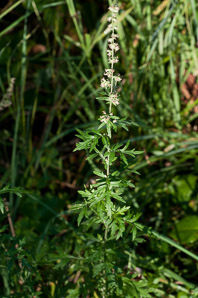 Although numerous, flowers are small, inconspicuous, and yellow or dark red; they appear from July to September. 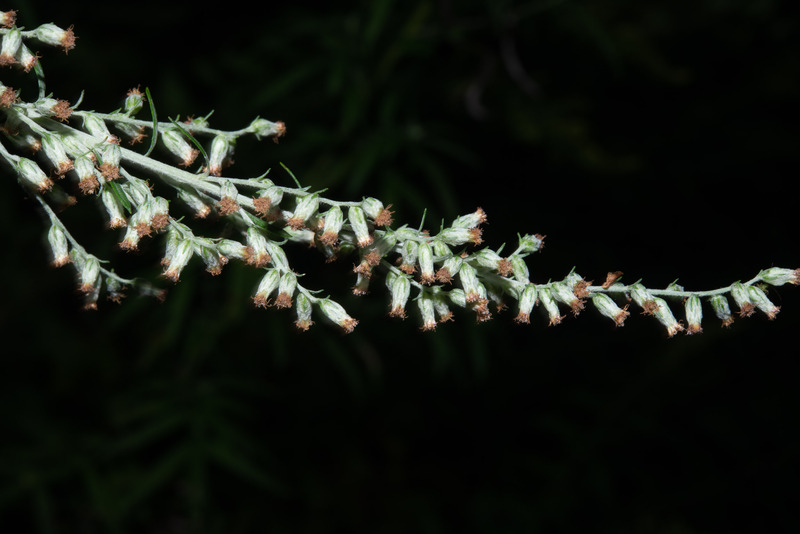 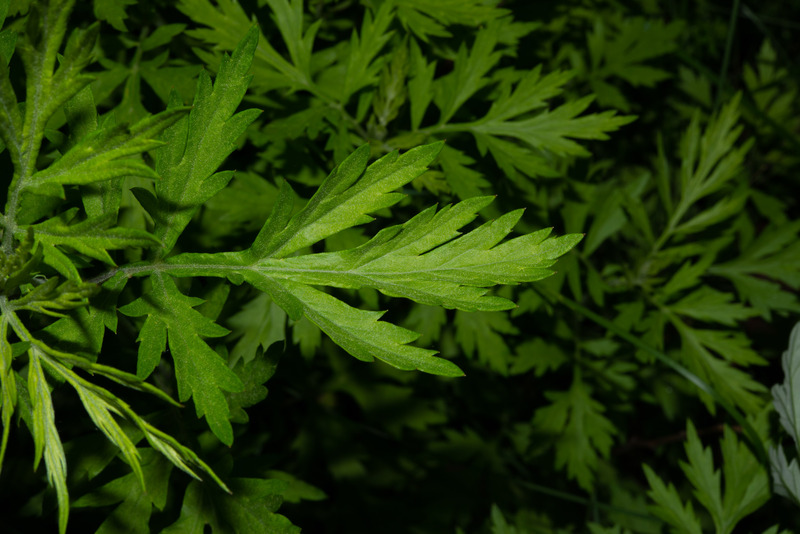 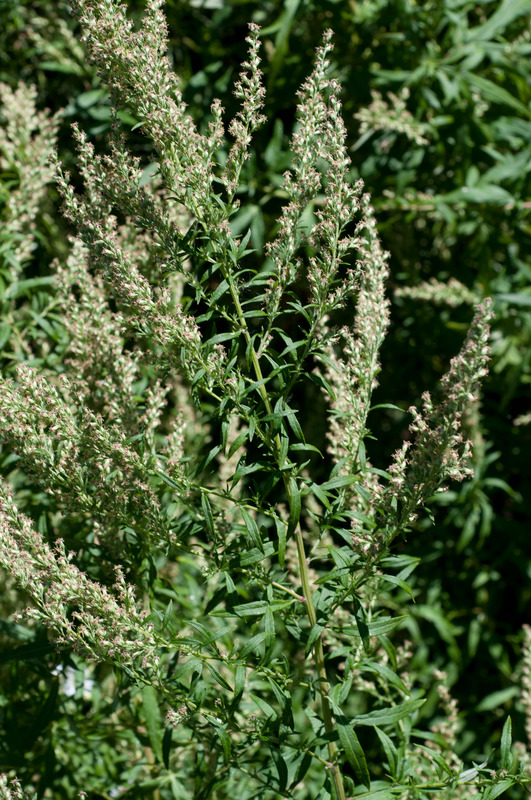 Artemisia vulgaris description by Thomas H. Kent, last updated 2 Jan 2019.